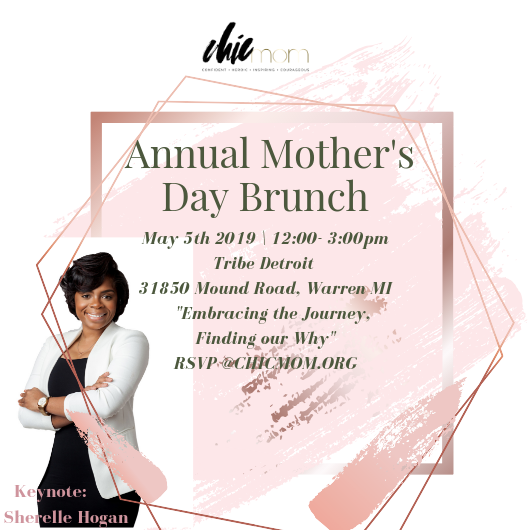 Join CHICmom for our Annual Mother’s Day Brunch as we celebrate motherhood together. This year’s keynote message: Embracing the journey, discovering our why. Space is limited. Guest will enjoy brunch options, toast to our journey, mingle, and network with our CHICmom community! Sherelle most often has been described as a remarkable young woman of God and a survivor. A victim of parental incarceration, Sherelle faced a childhood of trauma related challenges as she fought to maintain psychological, physical, and spiritual freedom. Statistics suggest many that have walked Sherelle’s path end up uneducated, entangled in the criminal system and living in poverty. However, Sherelle has managed to navigate life traumatic circumstances turning pain into purpose. Through this traumatic experience, Sherelle has become an advocate for children of incarcerated parents. She founded “Pure Heart Foundation” to bridge the gap and create opportunities for children who are often forgotten. Pure Heart has assisted bringing awareness to the psychological instability children of incarcerated parents and providers face. Sherelle has a goal of decreasing generational incarceration, including “the school to prison pipe line” by creating a new cycle of hope, love, and financial sustainability. Sherelle shares her journey to freedom through her NEW book “The Prisoners’ Kid” in hopes it inspires every reader will look within. Sherelle attended University of Michigan, obtaining a BA in Child Psychology. Sherelle currently is the Resource Counselor for CEASE FIRE Detroit a partnership with Law Enforcement, Community and Faith-Base to address violent crime. The Executive Director of Pure Heart Foundation. Sherelle’s journey to freedom has just begun. Follow Sherelle’s story as it continues to flourish. 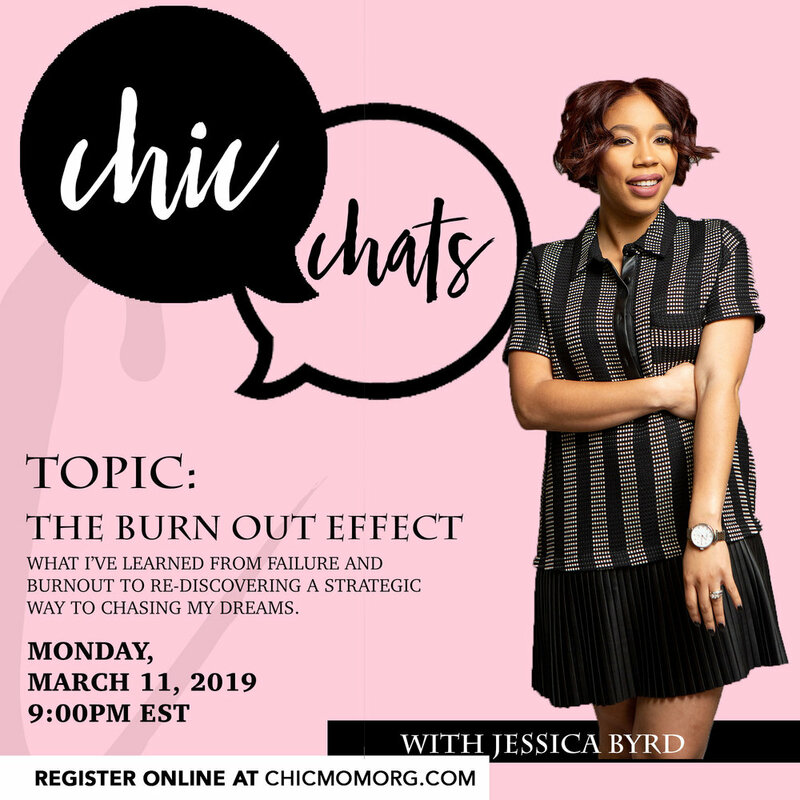 Join us as our founder steps from behind the interview chair to discuss failure, burnout, to trials and rediscovering chasing your dreams in a strategic way! Jessica will share her journey and the REAL struggle behind chasing after goals with a family! Once registered you’ll receive an invitation to join the chat. Krista Hamilton is an early childhood and early elementary educator with over 25 years of professional experience with educating children ages two through ten years old. She has a bachelor’s degree in Early Childhood Education from Clark Atlanta University in Atlanta, GA and she attended Benedictine High School in Detroit, MI. With a passion for nurturing young scholars, she has successfully worked with students and families in school systems in Michigan, Illinois, and Georgia. Having high and realistic expectations is how she successfully meets the goal of having self-motivated, and independent learners in her classroom. She uses compassion based principles to motivate and encourage her students to be self-disciplined and develop a higher EIQ (Emotional Intelligence Quotient) in an effort to help them appreciate their importance in their home, classroom, and community. In addition to being an educator, Krista also serves as curriculum director, staff mentor, and advisor to many new parents and families helping them to navigate the path of child rearing with strategies and concepts to establish a happy and healthy parent/child relationship. Virtual Vision Board Party for members to kick their first quarter in action! Bring your pen and paper so we can knock these goals in action! Members will be sent a special invitation link. Join CHICmom for our Friendraiser! We’re a non-profit geared towards providing the educational, social,and cultural needs to minority mothers! Our events continue to educate and empower mothers to live their best life inside and outside the household. All funds for this event will go towards our efforts to expand on our workshops, and contribute to our mission to host our first ever cost-friendly conference for all mothers of all ages! Come learn about CHICmom’s mission while painting a CHIC picture and contributing to a great cause! CHIC Chats are informative and engaging chats with mothers digitally. 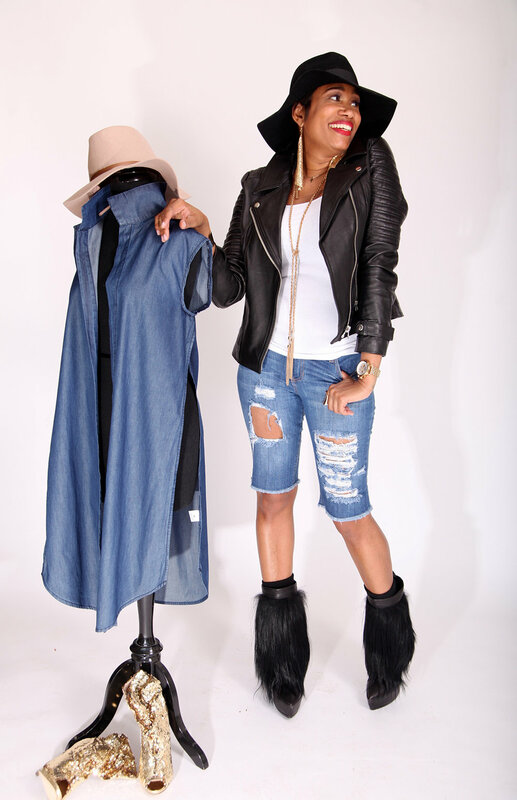 This month’s chic chat we welcome host, Monica Sutton. Monica J Sutton is an early childhood development specialist and child behavior specialist who helps parents guide children to be their best selves in challenging situations using mindful strategies and fun activities that fit their busy lives. With a Master’s Degree in Early Childhood and Special Education, she has spent over 17 years working directly with children of all abilities and backgrounds in NYC classrooms. She combines her research-driven expertise and experiential hands-on results with the belief that every child has an individual path to greatness. Monica’s expert guidance has been featured in online publications including Kid Made Modern, Spark Box Toys, Peaceable Kingdom, Lifetime Moms and Essence, as well as on the TV news program Low Country Live. Monica will join our December CHIC CHAT to discuss effective ways to communicate with our children and decreasing the need to yell! 4 weeks of Goal Setting in your personal, family, career, relationship and spiritual life! Each Monday you’ll receive a weekly goal sheet with action steps to end this year strong! Register below to get started planning your best CHICmom life! What would be the most beneficial in helping you achieve your goals? CHIC Chats are informative and engaging chats with mothers digitally. This month’s chic chat we welcome host, Keisha Reaves, founder of Push Thur Box , a self care box for mothers. Keisha Reaves has been in the mental health field for more than ten years and owns a private practice in Dunwoody, Georgia. She is a licensed professional counselor with a specialty in maternal health. Serving women with life transition issues, postpartum depression, infertility issues, and women who have experienced recent miscarriage has become her speciality and passion. She likes empowering women of all sorts and encouraging women through holistic practices, physical health and talk therapy. Keisha will join CHICmom to discuss setting boundaries to maintain our mental health and eliminate stress. Sign up for CHIC CHAT below! Spill the Tea is a networking, empowering, and therapeutic event for mothers. We challenge society pressures and demands of motherhood by creating a transparent and educational space for mothers of all walks of life. This year we’re happy to announce our passion panel. A panel of mothers who’ve utilized their passions to create a life in their respective careers and professions. This evening experience includes an exclusive shopping experience from local businesses, headshots for mother’s Linkedin profiles, and a motivational message from keynote speaker, Trina Small. Spill the Tea is a safe space for mothers to discuss the secrets, successes, and struggles of motherhood. Encompassing a group of mothers from all different walks of life, we're covering it ALL! Nothing is off limits. CHICmom firmly believes in creating transparent experiences for mothers to learn, empower and educate one another. Spill the Tea is an evening where mothers gather together to lean on each other to take life by storm while not sacrificing our dreams and goals, despite being a mother. CHICmom Members join us in our private Facebook page as we talk all things female!!! We're discussing how understanding our body affects our health, the different cycles of the female reproduction system, and understanding how just how empowering our bodies really are. Summer time open house! Come learn about CHICmom, bring the kiddies and enjoy a family playdate, men are welcomed too!! Please bring swim and athletic wear. There will be tons to do. Join us in our private room from 2:00-4:00pm. Light refreshments will be served. 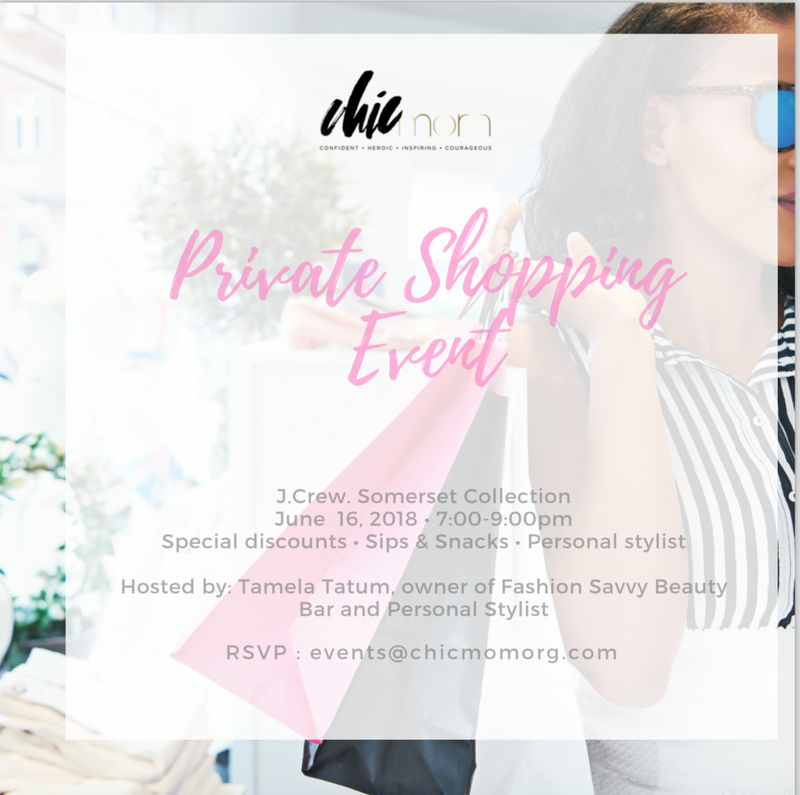 Join CHICmom for our private shopping event at J.Crew Somerset Collection. Enjoy an evening of shopping, sips and snacks with an exclusive personal stylist. Exclusive for CHICmom members, limited amount of space open for non-members. Non-members RSVP includes a donation . Come join CHICmoms for our weekly bedtime stories meet-up. 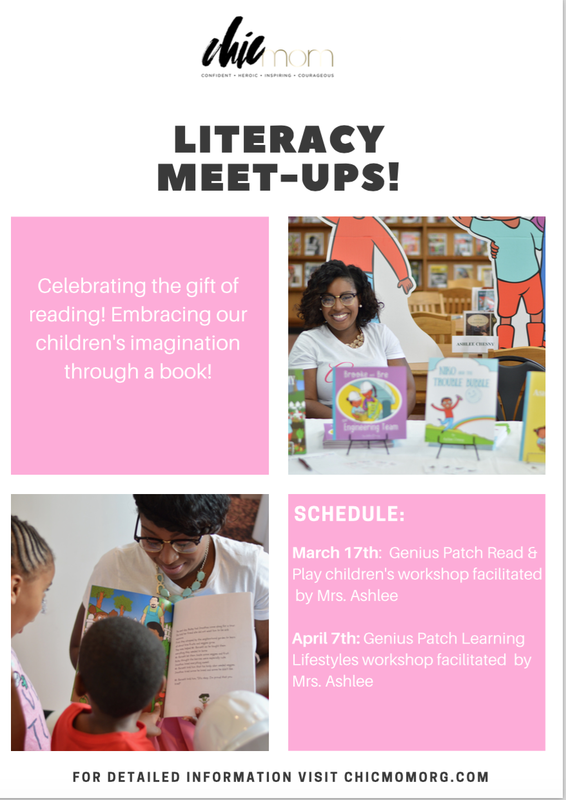 April 7th: Genius Patch Learning Lifestyles Workshop for parents. Facilitated by Special guest, Mrs. Ashlee. This workshop will help parents understand fun and engaging ways to help their children learn. **CHICmom members who attend ALL weekly bedtime stories meet-ups will receive a complimentary book by Mrs. Ashlee. Author, Entrepreneur, Wife, Mom and Changemaker are just a few titles that Ashlee Chesny carries. Chesny is a 5x published children’s author and award-winning literacy advocate on a mission to change the way that our nation approaches education, as well as child development. Aside from being an avid storyteller and creator of characters, Chesny is the founder of an education enrichment nonprofit in her hometown of Detroit, MI called Genius Patch. Programming created by Ashlee Chesny has been hosted at the Charles H. Wright Museum, Ann Arbor Hands on Museum, Detroit Public Schools, Oakland Livingston Human Services Agency, The Children’s Center, a host of schools, daycare, churches and more. 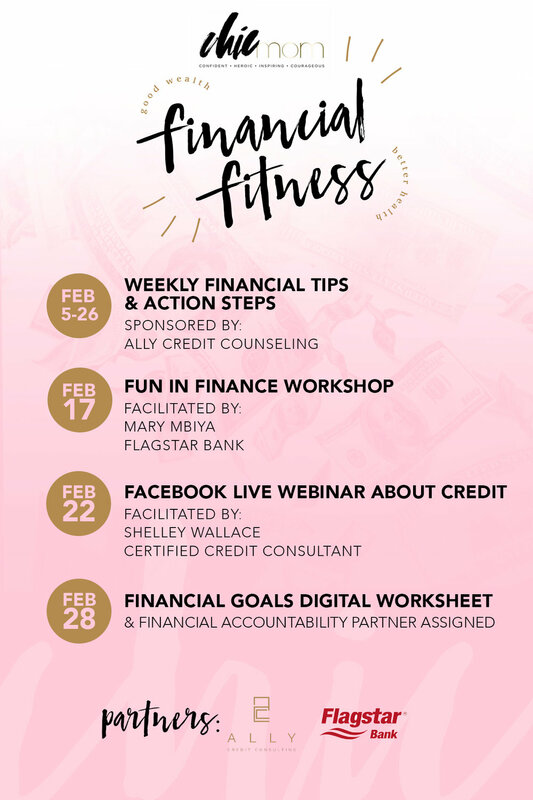 Join CHICmoms as we get fit in our finances with our financial fitness series. Fun in Finance workshop will take place on February 17th from 3:00-5:00pm in Southfield, Michigan. Once registered, attendees will receive a detailed email. Space is limited. Join CHICmoms for our mommy and me vision board party!!! Everything starts with a vision, and we're creating our goals and dreams together. This time we're involving our children. This is a great dialogue to get an understanding of life through your children’s eyes. Remember our dreams started at childhood! How we manifest them continue through our adulthood. No need to bring anything, just come fellowship and let's conquer your vision. It's time to celebrate CHICmom amazing year. Please join CHICmom for our first ever fundraiser. Attendees will enjoy shopping local vendors, ballrooming lessons, live dj, great food, our special toast, and CHICmom exclusive calendar reveal. This is a fundraiser so all donations are tax deductiable. Please support a great cause in educating and empowering mothers to live their best lives. All are welcomed, not just mothers!! Come hang out with CHICmoms for a private screening to see Bad Moms 2. Last year we had a great time together seeing Bad Moms #1, we can't wait to continue the fun!!! Join us for a night of fellowship and movie. Ticket admission includes, movie ticket, popcorn, and soda. Join us for our 2nd Spill the tea! Attendees are encouraged to enjoy shopping, wine, and conversations. The event is scheduled to start at 3pm. Please review the agenda below. See you soon. Space limited to 60 people. Join CHICmom for our annual summer playdate. This playdate is for the whole family. Shed hours includes food, drinks and snacks. Food will only be served duing this shed time. An interactive workshop that discusses the state of African-American families. This is our first event with males on the panel. We're excited to discuss the benefits of a happy household, and what that means for mothers from all different walks of life. There will be vendors and resources available for attending mothers. Fathers are welcomed too. CHICmom strongly believes in keeping our events intimate, which allows for more open discussion, and better networking. Space is limited to 60 mothers. Each year we celebrate mothers who exemplify Confident, Heroic, Inspiring, Courageous moms. This year we're celebrating single mothers for the award. Do you know a mom who's deserving to win our CHICmom award during our Mother's Day Brunch? Or maybe you're that mom? Nominate a mother. A selected mother will receive a complimentary entry to our brunch and also an exclusive gift from CHICmom Organization. Nominations will close April 15th. The brunch is open to all mothers. Invite a friend and network while celebrating motherhood together. Celebrating National Reading month, CHICmom will meet at the Library on a weekly basis. Parents will read the children's book of choice each week. Reading is essential for children, no matter what age. Join us every Wednesday for the month of March from 5:30pm-7:00pm. Members that attend four out of the five times will receive a free book of choice for their children. A 20 day devotional encouraging mothers to create the best life they want, by digging deep and answering tough questions. Guess who's turning two?! Come join CHICmom as we celebrate our 2nd birthday and website launch!! We're so excited to continue to grow on our mission to educate and empower mothers. During our birthday celebrations we will also offer exclusive discounts towards CHICmom Membership. Come join us. Admission is free, but you must RSVP!